Sphinx atropos Linnaeus, 1758, Syst. Nat. (Edn 10) 1: 490. Type locality: Europe; "Aegypti" [Africa]; "Indiae" [India]. China: Reported once from Hainan, but not a resident of eastern Asia. Resident in Africa, the Mediterranean region and Middle East (to Iran, Turkmenistan and Kazakhstan). 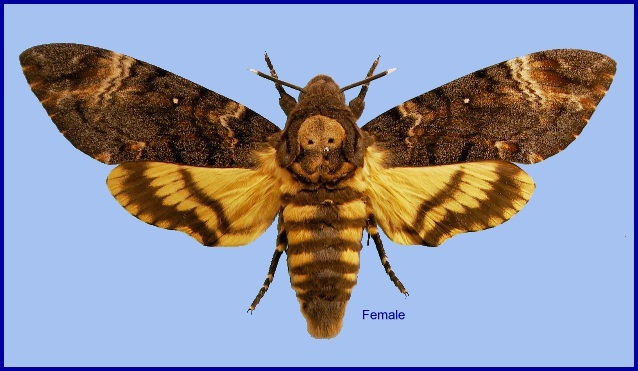 Records from elsewhere are the result of confusion with Acherontia styx or accidental imports.